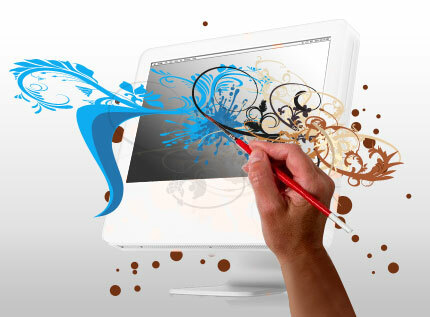 Getting the right look for your site is the most important decision we will make with you. We like to make sure that it will market your products or services effectively, present the information as clearly and precisely as possible and also have the wow factor that will set you aside from your competitors. We’ll spend the time to learn about your company, and make some suggestions for how the site could be presented. You may have your own firm ideas about how you want the site to look, or want us to try and base it on an existing site which you admire. Alternatively, you might be happier to leave the design entirely to us – whichever you prefer, we’ll present you with a selection of possible looks for your site from which you can choose your preferred template. You will be able to view the site while it is being developed and can have as much (or as little) input as you like into the design work. All our sites are developed in accordance with W3C web standards and have added accessibility functions such as the ability for your visitors to increase text size. You can also opt to have what’s known as a responsive design which means your site will display differently depending on the device used to view it. If viewed on a smartphone for instance, the design will be set out in the familiar column format often viewed on sites designed for mobile devices.